First, the load cell's output signal is digital, Digital compensation and temperature compensation will be finished in internal. Though 2.4G wireless module to launch after reasonable encoding. 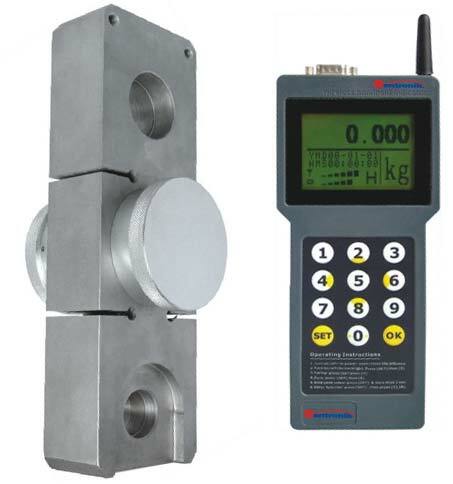 Handheld receive load cell output and its internal battery power consumption values then show themon the LCD display, and handheld through the RS232 output to a computer or large-screen display. If necessary, Multi-channel working is a option, One handheld can be connected to up to 16 sensors.